There are 11 posts in this thread, and it has been viewed 7547 times. What do you think of League Bowling? 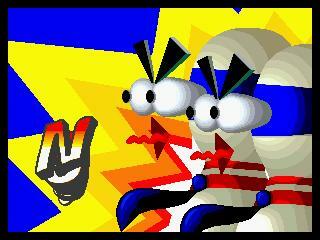 Hello, time for a new Game of the Week! 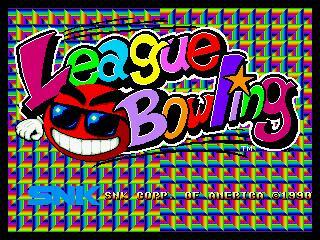 League Bowling is an arcade game released in 1991 by SNK for the Neo Geo console. 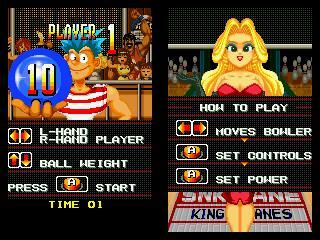 The players control characters with red and blue hair and can selected balls from 9 to 16 pounds. 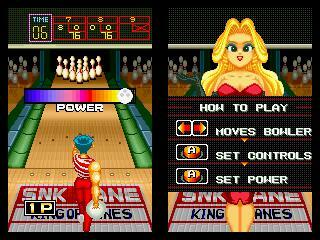 League Bowling has three types of modes, Regulation, Flash, and Strike 90. 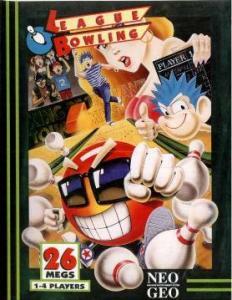 Each mode has significant differences, but are mostly played like regular bowling. Come play the flash version of the game here! 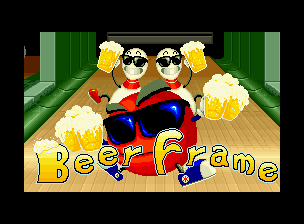 Woo, Leauge Bowling is just simply an Awesome Party Game! It's an okay game, but I prefer bowling as the real thing since I can't feel the weight and pressure of the bowling ball and I like having the honour of bowling the ball myself, although real bowling is more expensive than playing this game. In this game, it doesn't seem to matter which ball you pick, because all that matters is that you strike in the middle if you get your timing right. The bowler that does the bowling in the game, doesn't look my favourite sort of player. I wish you play with better SNK characters as the bowler like Carole from Savage Reign who looks capable of bowling see how she tosses an olympic ball. I'd like to see the middle half of that lady to the right of the screen. She reminds me of a Warner Bros. character like "Hello Nurse" from Animaniacs. Overall I'd say this game is worth playing, when the real thing gets pricey. That lady on the right of the screen also reminds me of Jessica Rabbit. i like this game. id love to pick it up. as the stray says, wd be a good party game. I agree, and for those who drink! I got this on NGCD last year as part of a bundle off ebay, have not played it much as I agree its probably best as a multiplayer experience and I dont have the retro fans to play it with. Yet I enjoyed my brief few goes on it and was actually surprised by how good it is so I guess its probably the best bowling game available . I really like League Bowling. Not the sort of game I'd sit and play for hours but really fun for a quick session now and then. The animations in the game are quite funny. 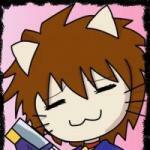 I usually just stick to the regulation made but I should try the other modes a bit more often too. Never played this in multiplayer before but I can imagine it would be a lot better especially using the four player link up option. Not a bad game. But pretty easy once you figure out how to hit strikes consistently.